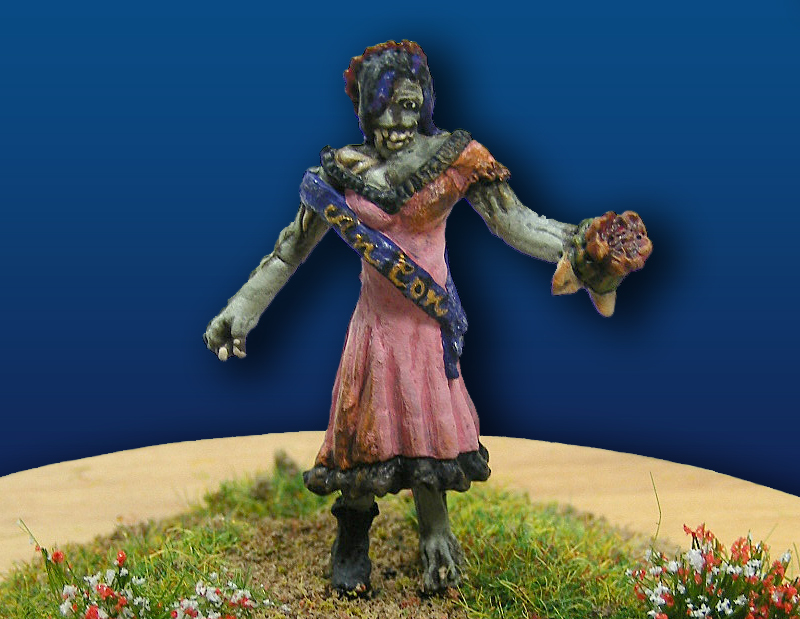 Description: AnCon Annie became a Serum Z Zombie on her prom night after Dr. Kaos contaminated a nearby water source. Since that fateful evening, she has spread the Undead plague across the world as a Zombie Master. Despite numerous attempts, Special Mission Force has been unable to contain her. All Kaiju Kaos miniatures are designed for play with other 28mm (1:56 scale) gaming miniatures. Complete game stats for AnCon Annie can be found at in the Kaiju Kaos – Zombies PDF at WargameVault.com.